January 5th, 2015 - Competitive Donkey Kong is getting "face time" yet again—and on this occasion, it's the ink-and-paper kind! A little over a week after Robbie Lakeman broke the world record in September, I was contacted by Sam Rowe, a journalist from the UK who was interested in preparing a feature on the high score chase. 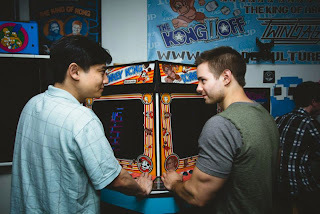 It just so happened that Lakeman and other top players Hank Chien, Ethan Daniels, Vincent Lemay, and Wes Copeland were about to meet in New Jersey in October for an informal "mini-Kong Off" at Richie Knucklez Arcade. Sam spent a few days with them, getting to know the players and more about their world. The next month, Sam's story made it into a few different publications—including two of the UK's more widely-read lifestyle magazines, Forever Sports and ShortList. Soon to come will be an interview with Robbie Lakeman for AskMen, as part of his continuing rounds as the reigning King of Kong. Strange as it may seem, it would appear that the people of Earth still want to know who their Donkey Kong champion is. The story of Robbie Lakeman's new world record spread wider than I thought it would, to blogs, websites, and newswires large and small. The hype continues up to the present moment. 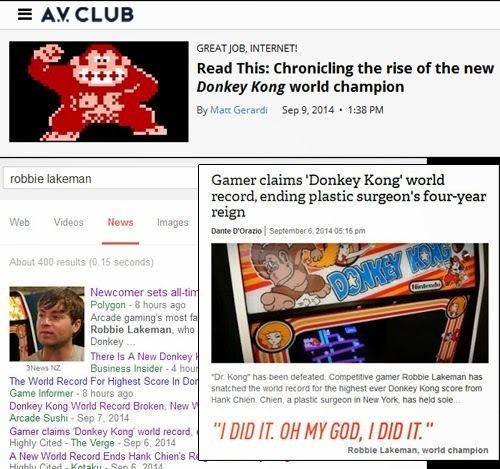 This past week, Robbie was picked to be one of Polygon's 50 Admirable Gaming People of 2014. Speaking for myself, being the source to break a "new world champion" announcement was one of the last of the to do's that I needed to cross off of the bucket list for this blog. It was a pleasure to tip off the first domino. What has not been widely-reported is that on December 1st, Robbie actually managed to push his own record a bit further (by 3,000 points), in a run that ended with 1,144,800 points. This new score, having occurred so quickly after the game that beat Chien, and not being much more than a cherry on top, admittedly happened very quietly. In fact, word did not spread outside of the DK community. Congratulations were forthcoming nonetheless, and the record will now be that much tougher to beat. Hank Chien may have finally lost the world record for the arcade platform, but his mythical "force field" seems to still be menacing everyone whose name isn't Robbie Lakeman. Mark Kiehl, who has been his characteristically-quiet self ever since taking 4th place on the all-time list over two years ago, recently reclaimed that very same spot on the much tougher leaderboard of today. In so doing, Kiehl dutifully honored what is quickly becoming a bona fide tradition... just barely missing Hank Chien. He managed to slip into the impossibly tight space between "Dr. Kong" and Ross Benziger, coming 1,000 points shy of Chien's former world record. I must confess, I never thought that I would see it come to pass. The ten highest-scoring Donkey Kong players in the world are now all sporting personal bests within the "max-out" range - that once-elusive 100,000 point corridor between 1.1 and 1.2 million points. 10th place—now held by Wes Copeland at 1,099,500—technically falls just short, but he's clawing to push through (more on that below). Copeland's score, along with the aforementioned recent performance by Mark Kiehl, and Steve Wiltshire several months ago, have loaded the bases going into the 6th (and final) Donkey Kong Online Open which begins this week. 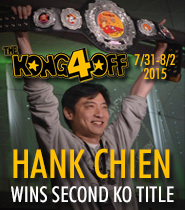 Just a little over two years ago, when the Kong Off 2 was about to get underway, only two players other than then-champ Hank Chien had crossed 1.1: Dean Saglio and Jeff Willms. The rest of the field (headed by Steve Wiebe in 4th with 1,064,500) was quite a distance behind. The gap has closed in the 26 months since, and now the traffic snarl around the top score has gotten even more chaotic. Wes Copeland, a young programmer analyst from Arkansas who came in second place in the Donkey Kong Online Open #2 earlier in 2014, took down first place in DKO #4 this past August. Copeland's aforementioned 1,099,500 point performance came a little over a month later on September 30th, and now rounds out the all-time top 10. 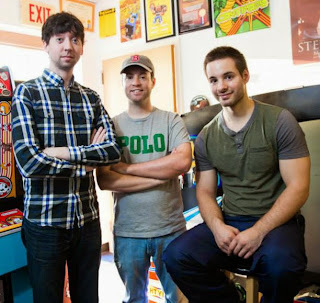 Having only played Donkey Kong for about a year and a half, "Copie" is blowing minds. Suddenly the field has (yet another) world record-capable player to contend with. "Truth be told, playing at 1.1 pace on a daily basis has removed all joy and fun from the game for me. The game feels more like a job at the moment because of how hard I'm grinding on a daily basis, but I mentally can't stop until I know my score reflects what I think my potential is." Copie is currently locked in a full-time battle with the game, his goal being to play every day, often for 8 hours or more, until he crosses the 1.1 mark. None of us doubt that he will do it soon enough. As the recent magazine articles were being prepped, competitive Donkey Kong managed to find its way (by the subtlest of measures) onto primetime network television. A brief scene on a recent episode of CBS's hit sitcom The Big Bang Theory depicted Leonard locked into "the game of his life" on a Donkey Kong arcade cabinet. A brief shot of the monitor caught the eagle eye of none other than Vincent Lemay, who noted that the score read 464,100 on Level 9. 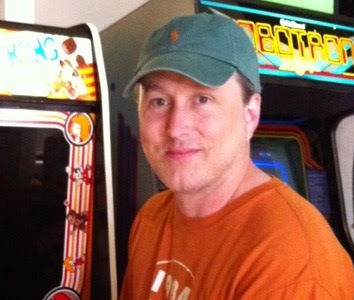 Lemay, knowing that only one player had ever accomplished such a feat, checked to confirm his suspicion, and discovered that the game footage being piped into the cabinet for the scene was indeed none other than Dean Saglio's MAME world record! How, why, and by whom the footage was inserted in the show remains a mystery, but it was a fun moment for the community, and a great homage (even if unintentional) to Saglio's epic performance. 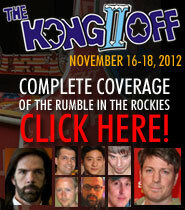 The Donkey Kong Online Open #6 Starts Wednesday! 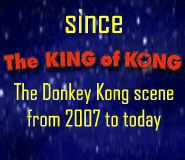 Check back here soon, as the 6th and final installment in the Donkey Kong Online Open tournament series (which began last February) will kick off Wednesday night at 9 PM Pacific. A brief event preview will be posted prior to the start time. 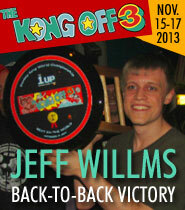 Follow this link to Donkey Kong Forum for more information on how to register and compete.